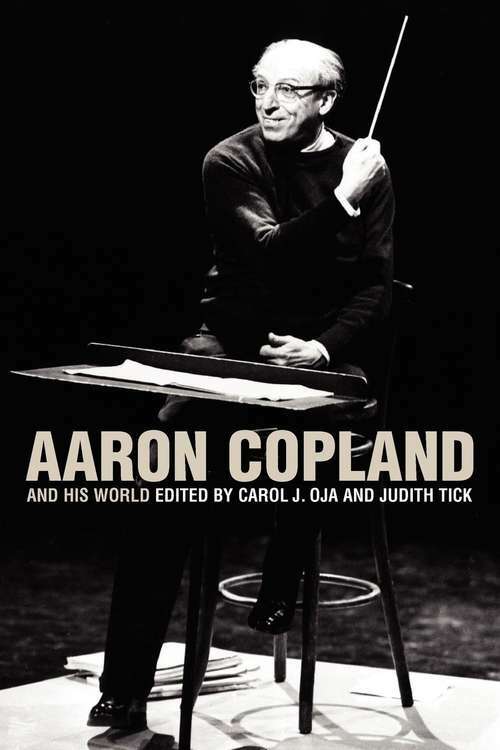 Aaron Copland and His World reassesses the legacy of one of America's best-loved composers at a pivotal moment--as his life and work shift from the realm of personal memory to that of history. This collection of seventeen essays by distinguished scholars of American music explores the stages of cultural change on which Copland's long life (1900 to 1990) unfolded: from the modernist experiments of the 1920s, through the progressive populism of the Great Depression and the urgencies of World War II, to postwar political backlash and the rise of serialism in the 1950s and the cultural turbulence of the 1960s. Continually responding to an ever-changing political and cultural panorama, Copland kept a firm focus on both his private muse and the public he served. No self-absorbed recluse, he was very much a public figure who devoted his career to building support systems to help composers function productively in America. This book critiques Copland's work in these shifting contexts. The topics include Copland's role in shaping an American school of modern dance; his relationship with Leonard Bernstein; his homosexuality, especially as influenced by the writings of André Gide; and explorations of cultural nationalism. Copland's rich correspondence with the composer and critic Arthur Berger, who helped set the parameters of Copland's reception, is published here in its entirety, edited by Wayne Shirley. The contributors include Emily Abrams, Paul Anderson, Elliott Antokoletz, Leon Botstein, Martin Brody, Elizabeth Crist, Morris Dickstein, Lynn Garafola, Melissa de Graaf, Neil Lerner, Gail Levin, Beth Levy, Vivian Perlis, Howard Pollack, and Larry Starr.